The knowledgeable and friendly staff at the Pharr EDC can assist you with any request for information. We’re always happy to provide professional service with a smile. 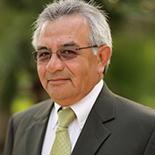 A lifelong native of the Pharr-San Juan-Alamo (PSJA) area, Perez boasts a strong background in management experience, most recently as Administrator for School Operations at Progreso Independent School District after having served in various leadership capacities at the district since 2004. Prior to his employment at Progreso, Perez worked for PSJA Independent School District as an educator, Head Athletic Coordinator and Student Liaison. Perez graduated from the University of Texas-Pan American with a Bachelor of Science degree and a Master’s Degree in Educational Administration. Along with his management experience, Perez has an extensive background in public service and community development. 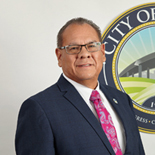 Perez served as a City Commissioner and as a Planning and Zoning Board Member for the City of Alamo. Perez also sat on the governing board of the Lower Rio Grande Valley Development Council, the area’s regional council of governments, for eight years. Perez currently serves on the Pharr-San Juan-Alamo Independent School District as School Board Trustee. Antonio “Tony” Sandoval is the Assistant Director for the Pharr Economic Development Corporation. Tony graduated from Pan American University with a Bachelor of Business Administration in Accounting. He was employed for 22 years as a State Tax Auditor before joining the Pharr Economic Development Corporation in 2006. Prior to his current role as Assistant Director, Tony served as Corporate Accountant and Economic Development Specialist. Karina Lopez is the Business Retention and Expansion Manager for the Pharr Economic Development Corporation. Her primary focus is building strong business relationships and supporting the success and development of current business owners in the City of Pharr. She graduated from the University of Texas – Pan American with a Bachelor of Science. Having worked with the City of Pharr for over 9 years, Karina brings ample experience working with community stakeholders to expand employment and training opportunities in Pharr. 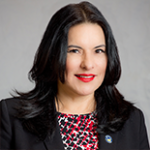 Cynthia Garza is the Director of Business Development and Infrastructure for the Pharr Economic Development Corporation, overseeing all federal and state infrastructure projects surrounding ports of entry. These projects have the potential to alleviate the congestion concerns surrounding freight cargo trucks sharing the same roadways as vehicular traffic. Cynthia also assists in all special projects with the City of Pharr and private community stakeholders centering federal and state opportunities. Cynthia graduated from Texas A&M University with a Bachelor of Science. Myrta Tijerina is the Tourism and Events Manager for the Pharr Economic Development Corporation. In this role, she focuses on promoting the cultural, economic, recreational, and quality of life benefits in Pharr. Myrta graduated from Colegio Labastida, Monterrey, N.L. with a degree in Education. With over 36 years of experience in various roles, including positions with the City of San Pedro, TV Televisa San Angel Mexico, and City of Reynosa EDC, she brings valuable experience to the Pharr Economic Development Corporation. 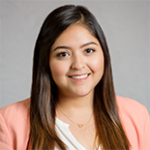 Marcela Beas is an Administrative Assistant for the Pharr Economic Development Corporation, assisting with event coordination, documentation, and financial accountability. She graduated from St. Edward’s University with a degree in Marketing. Prior to joining the Pharr Economic Development Corporation, Marcela worked as a marketing consultant implementing strategies to engage customers and improve business opportunities.